So when are you taking early retirement I hear you ask? Before answering let me first provide some musings of how the world of somebody who has been financially independent for just shy of one year is playing out. In short life is good, no I mean life is great and I mean really great. We were fortunate enough to be able to spend some more time back in Cyprus and this time around it really did feel like home to the point we were quite saddened to return to Blighty. We also think we have found the town we will first settle. Of course we’ll first rent for 6 to 12 months just to make sure but it felt really good. I think now there is really only one thing that will stop us from migrating to Cyprus which I’ll explain a little later. The stress from my work is also now an order of magnitude less making it tolerable. This is predominantly because there is no longer a sword of Damocles hanging over me. If I’m fired, as opposed to FIRE’d, I’ll just take my payoff and sail off into the sunset with a smile on my face. Stress has also been reduced because I now speak very freely as again there are no repercussions of saying something that maybe others don’t want to hear. I am yet to FIRE for a few reasons. 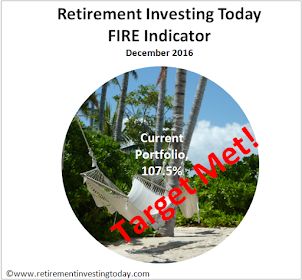 The first is that all the FIRE literature out there seems to miss one important thing about the period between becoming financially independent (FI) and retiring early (RE). Up until FI it’s likely that the vast majority of your wealth will go towards paying for the necessities in life (electricity, food, gas, taxes etc) with some allocated to fun (travel, eating out, hobbies etc). Once you get to FI and head towards RE that switches to every pound of wealth added being able to be used for fun as the necessities are now by definition already covered. In my case my FI number was £1,014,000 with my one more year to date taking that to £1,222,000. At a 2.5% withdrawal rate I’ve just given myself an extra £5,194 of fun money per annum. Now if I was to do another one more year and Mr Market performed to average I expect I could add a further £134,000 which would be another £3,355 of fun money. Of course the opposite of this is you’re a long time dead. In my case life expectancy calculators suggest my average life expectancy will be 81 meaning if I work an extra year I lose 2.7% of my early retirement life. As I write this post today that’s the direction I think I’m heading. The fun money increase is now however a smaller part of that with the bigger part being healthcare. Let me explain. Cyprus. Buy private health insurance until such time as we reached State Pension Age (fully expecting this could be 70 or more years of age and fully expecting no State Pension due to means testing or similar). What we were expecting though was access to an S1 at State Pension Age, as part of being a member of the EU, meaning we could switch to the free Cyprus public system in our dotage. Spain. Buy private health insurance for the first year, buy into the Spain public system from year two via the Convenio Especiale and then, like Cyprus, switch on the S1 in our dotage. With Brexit we’ll likely lose the S1 piece meaning private healthcare ‘forever’ in Cyprus and the Convenio Especiale in Spain. My concern here is not the cost of the healthcare as we have wealth for that, meaning we’re still good for Spain, but actually getting access to Cyprus private healthcare in our dotage. I can just imagine the conversation with a ruthless private health insurance corporation – ‘oh, your now 84 years of age with 7 pre-existing conditions, sorry sir we can’t provide you with private health insurance anymore...’. When is the specified date? Is it when Article 50 was triggered, the date of this document, the date we Brexit or some other arbitrary date? So the one more year’ish is to allow the Brexit negotiations to play out a little more. If it’s heading towards no other option but private healthcare forever in Cyprus we’ll then likely switch to Spain. This is because in reality there is only a cigarette paper between the two countries in terms of what we want from life with both offering us far more than the UK. Her indoors has always said you would make excuses and never leave the UK! If your plans are delayed because of a possible conversation you might have in 40 years, when you might be long dead anyway, it seems she was right. Though if life is really really great while you are still in the same job, why bother? Do another year, 5, 10, 20 or 30 years! I always said your worst case scenario of what was it? 1.12 Euro to the pound was a bit low. How do you see that panning out now? Is that part of the change of plan? I reveal a lot more in my book as it's not quite so public but in my life I've moved countries for work for both short and long term periods. I know what's it's like to build friendships and then have them dwindle away somewhat once you leave. I also know how difficult it is, at least for me, to make new friendships. In this instance we're really trying to make sure it's the last significant move. To me at least it just seems prudent to select based on all data that you know about rather than half of it. My assumed XE is 1.123. That didn't come into it as the maths says we already have plenty. If I could see where it was going to go I'd of course be an even richer man. I understand your reasoning, but I think If I were in your shoes (your wealth behind me, migration plans at advanced stage) I'd go ahead with the move despite the unknowns about effect of exiting EU on healthcare. I'd rather deal with that later (and in worst case, be prepared to move back to UK or to Spain, which it sounds like an option you're keeping open anyway with the renting thing) than continue working for another year or more. There will always be some reason why now isn't the perfect time to quit work and emigrate; sometimes you just need to take the plunge. You might very well be right. At the end of the day this affects the lives of the whole family which is a real life family. We have not just drawn a line under it and said RIT retires in July 2018. We will be continually discussing as things do change with time. Isn't healthcare fun once you're FI and ready to retire? I'm FIREd in the US and Mrs. Freaky Frugal and I rely on Obamacare for our health insurance. But it's being attacked weekly by a Republican Congress so it's on the verge of being dismantled to be replaced with...who knows? As an outsider looking in US healthcare just seems really messed up. There must either be huge inefficiency everywhere and/or a lot of people/corporations are making a lot of money of the backs of those less fortunate than themselves. I regularly see people talking about monthly costs in the $1'000's and I've also seen some people even talking about $10,000's. In comparison Cyprus private healthcare will be circa EUR1,000 per person PER YEAR. I've been following your journey for the past 5 yrs RIT and on many occassions you stated quite firmly that you would never do 'one more year' and I must say I was more than surprised to read this post. I guess when the time actually arrives to go, it must feel a bit scary...maybe a leap into the unknown. I look forward to the day it actually happens and to how the story unfolds from there. Good luck! Without going back over old posts I'm not sure how firm I've been. I do know I talked about hoping I have the courage to do it on a few occasions. I wouldn't say it's scary but rather I didn't bank on such a change occurring just by becoming FI. I thought that the change would occur during RE decompression (I'm sure there would be change there as well from what I've read from other bloggers). Over the last year my life has changed so much for the better and all I did was become FI. I wonder if Maslow's hierachy of needs is relevant here. I now have the Physiological, Safety, Love/Belonging (and by moving I will lose some of that and have to rebuild it) and Esteem (including and relevant to this forum a financial achievement that many only achieve with a lottery win) in very good shape. That means all I'm now seeking is self actualisation and can devote all my time to it. This delay has been coming and heavily flagged in your recent posts. You have a formidable FIRE treasure chest accumulated. You have won the game but emotionally you're not ready. Will there be another post-hoc rationalisation in one year's time? Will be interesting to see. You write it now and it will deliver the email to your future self on the date you set. Could be a good way to remind future RIT that you've passed every goal you've set yourself. Would be interested to hear more about how you find work now you're bullet proof. Have you much more latitude than you ever believed possible? Maybe you should start making outrageous salary / time-off demands to really make the next 12-months worth your while. This last paragraph I have some experience of with my partner. She had three roles professionally and one of those had to go, income from any of them was not a requirement and it was amazing how empowering it was for her to basically say, "well if they say no, then I'll just walk away, no big deal"
The emotion piece that you highlight is I think very true. For me (and as I mentioned to John above) the bit I missed was the difference FI would make to my/family emotions/wellbeing. Like a project I naively thought I'd make it to the FI line physically exhausted/relieved/etc and then chase RE (a new project) to decompress. What I didn't bank on was the euphoria that came from FI meaning I have a spring in my step making the next step not so much of a rush. - Previously when I went on holidays there was an expectation that you would respond to important emails in a timely fashion and would participate in important calls. Now I say I'm not taking my phone so don't expect replies until I'm back. At first I had a lot of pushback with comments like we need to be able to contact you. Now I have leaders saying to me that I have a much better work/life balance than they do and that my team covers very well for me (well yes of course they do because I develop my team). - This Friday just passed is another good example. There was one more 'important' thing that should have been done which would have meant leaving the office at 1900 or so. I packed up and left at 1600 and will not finish it over the weekend. On Monday I'll be challenged on it. The response will be "per my note earlier in the week I prioritise my work and this was a little to far down the priority list. It'll be done by Wednesday". Thus far this is being 100% accepted. I'm not yet at the outrageous demands point but I have a critical review coming up in a few weeks and it's certainly worked before. Food for thought. That makes me happier! Avoiding action because you're already loving where you are is a great reason to slow things down. @ The Accumulator.I would hardly consider RIT's treasure chest as formidable . Many people who ended up buying their own house in the SE may by have total capital accumulated on the same sort of level as RIT's.Admittedly it may mostly be in the form of property equity whereas RIT's is in a more accessible , flexible and diversified form. Probably RIT's approach is more tax efficient as well. Not sure why what other people have matters? RIT has meticulously documented his journey and far surpassed the target he set himself to live a good life. From memory RIT's withdrawal rate target is 2.5% which is comfortably conservative. I wonder if you share the "INTJ" Meyers-Briggs personality type of many PF addicts and FIRE blog writers (and me)? INTJ: You sabotage your life by closing yourself off from it. An unexamined life may not be worth living, but neither is an unexperienced one. You sabotage your life by waiting until you have absolutely all the information before acting. As a result, many time-sensitive opportunities pass you by. While it’s lovely to stay informed, your tendency to think before acting can be paralyzing. Sometimes you need to go out on a limb and search for fruit—even if there’s no guarantee you’ll find it. If it doesn’t work out, someone as sharp and resourceful as you will be able to recover. A number of years ago I was profiled in the workplace and I believe I was an ENTJ. I do however think the E part comes from the necessity of my job over many years because thinking about it (maybe I should take the test on a Sunday afternoon while at home) I am definitely an 'I' out of work. I've written about it in the past as I've wondered what my profile will really be once I'm out of the workplace (meaning no Jekyll and Hyde requirement) and have decompressed. David - what is your source of info that leads you to claim that many personal finance enthusiasts are likely to be INTJ ? I am not doubting you - just interested ! Thanks for the link as well. RIT - I sympathise with your different " outcomes " from the Myers- Briggs as it has also happened to me. I find that my mood may affect my answers - and also the role that I am in when answering. Thinking about yourself at work may give a different result to your " homelife " or role in a sport or activity. If I can rely on your frequently made statements about your social life and attitude to friends I have no hesitation in saying that you are an introvert - an "I". I suspect the E that's coming out when you have done these tests for work are influenced by your leadership role - and the leadership that both you expect of yourself - and that your work expects from you . But - you are an introvert believe me . I've always thought you could have gotten yourself into the mindset you're in now 12 months ago. It was inevitable your treasure chest would hit its target, albeit it happened sooner than expected. Now you're there and you're just starting to breathe life. Extending is understandable, but set your final final conditions up front. It's not really a number or a time. It's a mindset. Bet it arrives sooner than you think. Enjoy the ride. I agree with A. Set your own terms at work for this period and glide down. What have you really got to lose? Breathing life is a good turn of phrase. Even now I am just so much more aware of what's going on around me and I like what I see. The big question then becomes if I had my time again would I do it the same way again? The answer would be a resounding yes. I (and the family) are in a very good place right now, we have a huge number of options and are free. Is this blog still under warranty? Can I get a refund, it's faulty? Could we have a post on your workplace? This reminds me of the time when we realised we had money enough to pay off the mortgage. There was no need to pay it off; just knowing that we could was quite enough of a joy. FI & RE. Simply because we are almost conditioned to read them as FIRE doesn't mean that that are inextricably linked. You have reached the 1st milestone - achieved through hard work and diligence, But the 2nd milestone cannot be 'achieved' in this way - it is not some scientific formula but rather a state of mind. So, to coin a phrase on a current (albeit despicable) product advert - "stress not" - RE when IT IS RIGHT FOR YOU! You'll pull the trigger when you (and your family) are good and ready and that includes being comfortable with what Brexit may or may not bring. If you had not chosen to share your plans with us readers, we would be none the wiser and no one would have questioned about your 'one more year' situation because no one would have known about it. By the way, my Myer's Briggs profile is ESTJ, which is apparently the classic 'corporate type' - I guess I really did stumble into the whole PF/FIRE thing haha! I've been thinking of FI and the RE as distinct lately. If I was FI I think I'd enjoy my job much more as I wouldn't have to worry about the next restructure. So much so I'd be likely to stay around rather than RE at the first opportunity. So I can see where you are coming from - with uncertainty caused by Brexit I can't fault you for seeing the lay of the land before jumping. FI allows you to look at employment in a different way. When I got close I looked back and realised I'd not enjoyed any job I'd done in IT 15 years, so it was me, not the jobs. I continued a little longer to firm up the numbers, but only to make success 95% likely rather than 90%, certainty is not possible. A year after RE the %age is still rising, and I'm delighted not to be working. I suspect RIT just wants to keep edging up his percentage, but he needs to stop sometime. RIT is over analysing, but that's his personality and how he can earn good money. If he can enjoy his job (and there's a clear lesson that FI allows you to push back and get the Man off your back), perhaps he doesn't need to RE, but it will disappoint his readers. of course, next year there can and likely will be a fresh set of circumstances that will cause doubt. We might be in the middle of a bear market and global slowdown, the pot might look 10-20% smaller etc etc. As others have said, you cannot spreadsheet analyse your way out of the inherent uncertainty in life especially for a decision as big as giving up your primary earning power for good when you have been focused on using it for aggressive accumulation for so long. I accumulated a similarly sized pot but do not feel remotely ready to RE - either financially or emotionally. At least you have the option. Good luck ! Yeah "I'm assuming GBPEUR is floored at 1.23" (now at 1.14) demonstrated the difficulty in trying to spreadsheet analyse your way out of uncertainty well. "I'm not gonna do one more year" is a mistake I expect everyone makes. Whether it's hoarding the precious like TI, creating new expenses like RIT, or lifestyle inflation like me. It isn't a mistake. It is what people choose to do based on processing a multitude of factors and coming out with a decision. Let him enjoy his time now, he's earned the right to do whatever he wants. In my case life expectancy calculators suggest my average life expectancy will be 81 meaning if I work an extra year I lose 2.7% of my early retirement life. RIT - just read this sentence to yourself again.. I am afraid that life expectancy does not work like that. These figures are population based - and are either average or mean figures. They are not to relied on to determine when you are going to die . I had a chuckle at that one too - when sentences like that start creeping out of the synapses its time to reassess I think. I tell you what though - the unwitting star of the post is your missus. Sounds like shes nailed it. You ought to take a leaf out of her book? Are you worried about the cyprus one-off 10% tax on assets over EUR 100k? I'm not certain which types of accounts were effected and perhaps you're intending to leave your wealth in the UK (subject to major FX and JC (tax) risk). Wow, there is a bit too much judgement on here by certain posters. I can empathise completely with your reasoning. In fact, I think I suggested this might happen at some point in a post here previously. Once I become FI I fully expect the pressures of work will melt away. At that point, if I choose to do one more year, it is because I enjoy the thought of an extra safety net and/or an extra luxury ski holiday every year for the rest of my life, not because I'm too scared to actually go through with the RE part. Best of luck. I'm incredibly envious of your current position and that you get (to a degree) to relax and take each day as it comes now. Enjoy! As someone who has just taken the leap I can understand your caution given (in my view) you don't have a lot of buffer for expensive mistakes. And that's the point isn't it....at some point you will have a cash buffer sufficiently large to ride out economic and political turmoil. But I don't think you're there yet (maybe as a single guy but not someone with family responsibilities) so OMY may be sensible for lots of reasons. I think you are correct. A million is a fantastic achievement but does not provide sufficient buffer for a 40+ year retirement for a family especially in a high cost of living country like the UK. I did the sums and while it would be possible for a family to live on 25K a year, it is not something I feel comfortable doing when earning power is still reasonable in my 40s and there is no compelling need to "quit" i.e I don't hate working. I understand RIT's dilemma well, having looked at it myself. Well done RIT, I'm glad to hear FI has resulted in a happier place for you to be in even before RE. I had a similar experience when I knew I was going to be leaving a toxic workplace in a few months time. Once I knew I wasn't beholden to it anymore things became a lot less stressful. It also aligns with the stories of having FU cash reserves. Which means you can act as you see fit on your own terms without worrying if your colleagues or management don't like it. This while building up to reserves even further too, but only for as longs as you happy to do so of course! While I'm here... My small employer has to setup an auto-enrolment pensions scheme now and has just asked me if I have any recommendations. Impartial information seems in short supply, so has anyone done the necessary research to fine the best options in terms of low cost for both employer and employee and ideally a rational fund selection? e.g. Global All Share Tracker or LifeStrategy type offering? You've met your target and exceeded it, but are still hanging on for another year? I think you are crazy, but good luck regardless! I think what isn't being discussed enough here is this doesn't need to be a binary decision or cut off. I gather your current vocation is not one that you could return to either after a few years off or as a part time consultant/contractor - although if that isn't the case then you really need to look into those options. But some kind of part time or temporary contract work or a part time business will open up the opportunity to walk now but not feel a financial door has closed and locked behind you. Which is what you appear to fear. True, you may not be able to earn a 6 figure income, but then again you don't need to. As to UK-based FIRE I think £1.5 million net worth is a reasonable goal for many households to aim for unless you have a large family. £500k for a nice house in the country (my plan is relocate away from south east) with no annoying neighbours, and a million in tax wrappered income-producing assets. - a conservative withdrawal rate ( 2.5% per RIT is very sensible) and the associated adjustments to household spending to 25K per year from 40-45K per year. - a more traditional 4% rate which may be ok for the first 5 years but could start seriously impacting outlook in the future if things go south when one is a point where earning capacity has declined. For a family with 2 kids the first option is not really possible and I don't wish to risk the second. So I work in the "freelance" mode you allude to to keep the meter running. 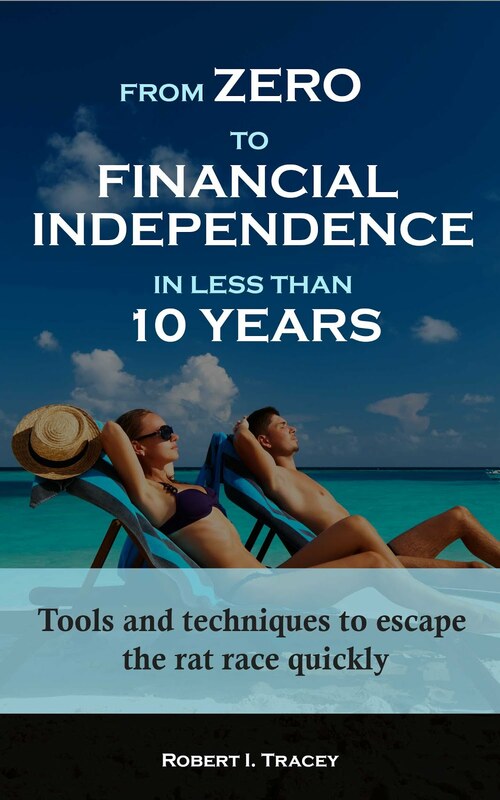 It is surprisingly lucrative while retaining the independence and mindset of the FIed. As a counterpoint, I'm aiming for £714,000 which is £25K at 3.5%. Don't need to buy a house out of that. If the returns sequence looks hairy in the first 10 years then we could easily dip down to £20K or less to reduce risk further. Flexibility in spending is key. 2.5% is very conservative and I don't think necessary if you can cut back in lean years. None of this accounts for the fact that eventually the State Pension charges over the hill and either boosts income or cuts withdrawal rate. If the wolves were really at the door later in life then we could sell the house or take a reverse mortgage. An annuity could well make sense at some point too. Completely agree that keeping your hand in with freelance only increases options and also makes a 2.5% withdrawal rate even less relevant. If you retire early ( in your forties for instance ) and have a family of 4 with kids still in education, 25K would be a very spartan lifestyle in my view. Here is some info that came out last week suggesting a family of 4 needs 41K for an acceptable standard of living in the UK. This means a £1.1m income producing asset base at 3.5% and £1.4m at 3%. An analysis of my own household expenditures would suggest the £41K pre-tax figure is close on average and will be about 7-8K p.a higher in the south east. This goes to the heart of what the FIRE movement is about: discovering how to live a rich life without the 'riches'. I say good luck to you mate! Some people don't seem to understand that some plan written on an Internet blog is not a binding contract and that plans change according to life situations and current state of mind at the time. One thing I do find odd is that you and many other commentators say you found the distressing at work only took effect once you hit that big FI goal, whereas I found this happened very very quickly, as soon as I had, say, 1 years expenses saved up. Because then being threatened with the chop never really seemed like an issue so much. Am I the cavalier outlier here or have others found a similar mindset to this? Me too! Ended up leveraging it into a tasty payrise. Although I had an employed spouse and have no children so a very different risk profile to providing for a family on one income. Your mini-FU money moment would have been before your little one was born wouldn't it? Maybe we will care even less once we hit fully FI? Not sure how I would get myself to the office in that case! I think it depends how much money you are making and how easy it is to replace. Certainly for me I knew that I would not be able to earn anything like the same money elsewhere and therefore needed to sit tight for as long as necessary. @pwf yea it was before the kid came along but she is here now and the feeling hasn't gone away thankfully. True about how easy to replace the earnings, if anything I'm probably being underpaid at the mo so if I get canned I would likely take a few months off then get a pay rise, fully appreciate others may be on the other end of that spectrum and don't want to kill the golden goose. @FSUK - the corollory to that though is a surefire way to disappoint people is to get them excited about something you say you are going to do and then not do it. when you say 'distressing' do you mean 'de-stressing'? Hey Robert, I've been following your posts on HPC through the years, and now I've started reading your blog. I'm in a very similar position financially, although reached through work earnings, as opposed to investing. I'm currently based in the US of A, but planning to head back to Europe in the next 2-3 years (family of three). Funnily enough, I've also been looking at Cyprus and Spain as possible destinations, and was wondering if you would mind sharing which areas of each country you are considering, and why. If this is too personal and you'd rather not post it here on your blog, could you let me know, and perhaps I could PM you on HPC? I never had any luck with any investments in past and living here for last 40 years always believed that in this little country -especially London everyone from the world wants to come here so the property market will do well, and that has worked for me. After all the huffing and puffing, RIT, you seem to have rediscovered the advantages of having accumulated a "get stuffed" fund. The old truths are the best ones, eh?